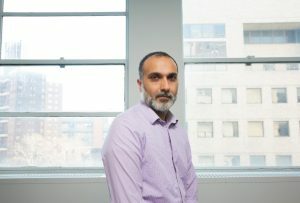 Dr. Manish Arora was featured in Spectrum Article, “How Pregnancy may shape a child’s autism”, to discuss how chemical exposures may affect a child’s odds of autism. Dr. Arora’s work is part of a growing field that is attempting to decipher what kinds of environmental exposures increase the odds of autism and how they interact with human biology and genetics. Researchers cannot easily collect blood or saliva samples from fetuses to see what’s circulating through them. Instead, they try to discern fetal exposures by using the mother’s environment as a proxy. If a pregnant woman takes a particular medication, for instance, researchers can extrapolate that the fetus, too, was exposed. To read full article click here. This entry was posted in In the News on December 5, 2018 by mountsinaitceee.